With a small number of beach condo rentals still available on select days throughout the long Thanksgiving weekend, it’s not too late to spend this bountiful holiday in Lincoln City, Oregon! Whether you’re a local, a frequent visitor, or just passing through for the first time, there is so much to do here for the whole family. The following are just a few of the activities that make Lincoln City a welcoming place for all this Thanksgiving weekend. Residents and visitors of Lincoln City can choose exactly how they want to spend their Thanksgiving, from morning to night. If you’ve booked a stay in one of our beach house rentals, your family will love spending the day cooking, eating, and enjoying entertainment on the big screen TV. However, you might also love getting out and enjoying some time amongst your neighbors. You can start the day the healthy way by running in the 5k Turkey Trot Race at Salishan Resort’s Golf Shop; just make sure to wear your running shoes and bring some canned food for those in need! Salishan Resort is also offering a Thanksgiving Brunch from 11 am to 4 pm, which is the perfect, hassle-free way to spend Thanksgiving Day with the whole family. There are plenty of other eating-out options as well. Just make sure to call ahead about pricing and reservations for these delectable options if you want to avoid cooking on turkey day. The day after Thanksgiving has come to be known as Black Friday because it’s the biggest shopping day of the year for many retailers. With a renowned outlet mall and a huge variety of local, artisanal shops, Lincoln City certainly offers many choices for those who want to shop the day away. There are also plenty of alternatives for those who’d rather spend the day outdoors or with family. The Oregon Department of Fish & Wildlife has launched its #OptOutside campaign to encourage people to spend Black Friday outdoors by offering free fishing, crabbing, and clamming – with no license of any sort needed – the Friday and Saturday after Thanksgiving. The Community Tree Lighting at the Lincoln City Cultural Center is also a great way to get outside with loved ones on the 23rd. The annual event features carolers, a visit from Santa Claus, and hot chocolate, coffee, and apple cider. If you haven’t gone into a food and shopping coma by Saturday, you’ll find plenty of activities as the Thanksgiving weekend continues. If you’re looking for unique gifts that you won’t find at any shopping mall, the Santa Sale at the Lincoln City Cultural Center is an ideal way to spend Saturday perusing vendor stalls offering handmade candles, décor, jewelry, textiles, and more. The Indoor Farmers & Crafters Market at the Lincoln City Cultural Center rounds out the holiday weekend with homegrown and homemade items of all sorts for sale on Sunday from 10am-3pm in the center’s auditorium. This pristine patch of the Central Oregon Coast truly has something for everyone, and with such cozy yet indulgent beach vacation rentals, Oregon is worth visiting any time of year. 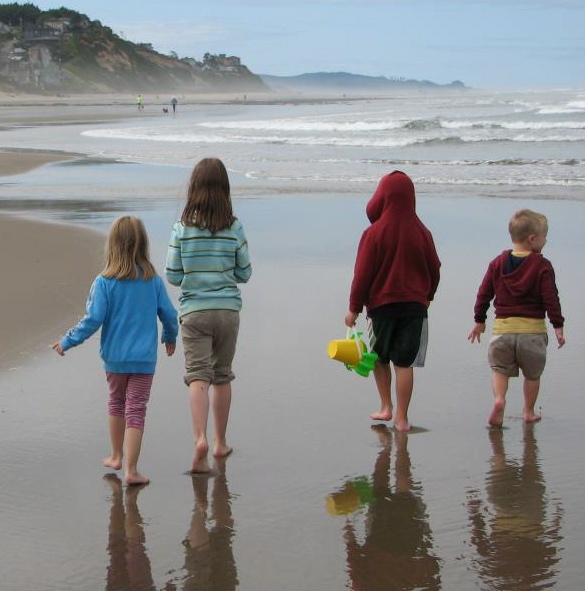 Book your stay today and see how much there is to do in and around Lincoln City, OR!